In holy Bhagavad Gita Adhyay 7 Shlok 12 to 15, Brahm is stating that Arjun! Now I will impart that knowledge to you, knowing which, there would be nothing else left to know. 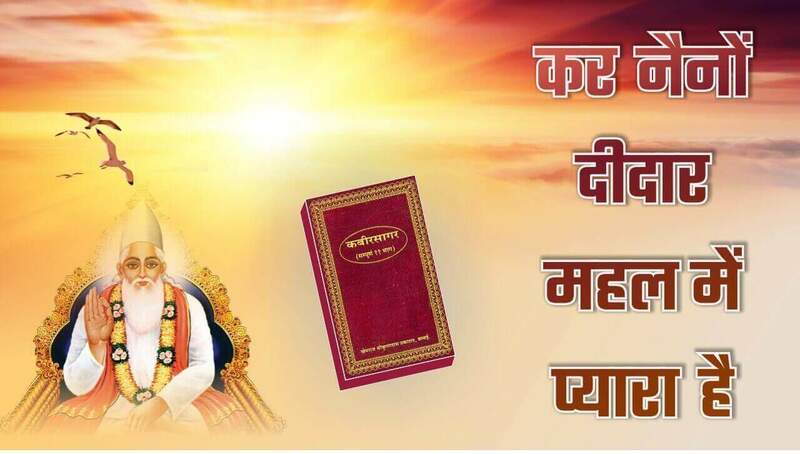 The narrator of Gita, Brahm, is saying that for the living beings of my twenty-one brahmands the scripture-based sadhna begins from my worship only, which has been mentioned in the Vedas. The intellect of living beings, who are in my jurisdiction, is in my hand. I am only master in the twenty-one brahmands. Therefore (Gita Adhyay 7 Shlok 12 to 15) whatever is happening through the three gunas (creation of living beings by Rajgun-Brahma Ji, preservation by Satgun-Vishnu Ji, destruction byTamgun-Shiv Ji) – I (Brahm-Kaal) am only its main cause. 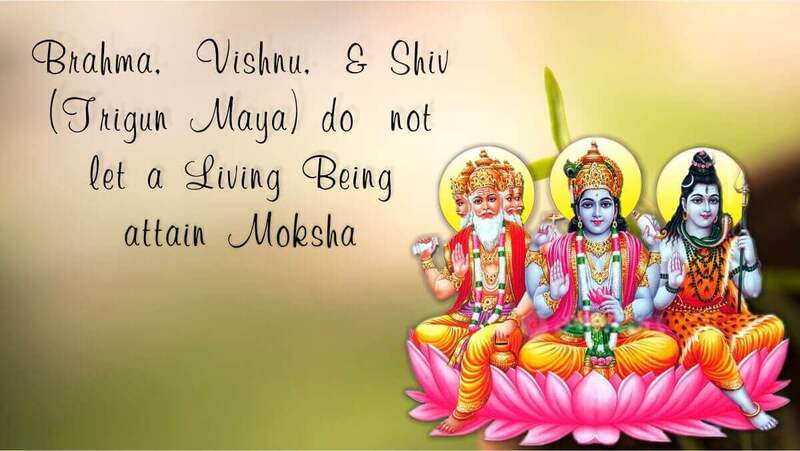 (Because Kaal has the curse of killing one lakh human beings and eating their grime) Those sadhaks who instead of doing my (Brahm’s) sadhna, perform sadhna of the Trigunmayi Maya (Rajgun-Brahma Ji, Satgun-Vishnu Ji, and Tamgun-Shiv Ji) and obtain the shortlived benefits, consequently suffer more; besides has indicated that I (Brahm-Kaal) can give more benefits than these, but these foolish sadhaks because of absence of Tattavgyan (the absolute knowledge) keep doing sadhna of only these three gunas (Rajgun-Brahma Ji, Satgun-Vishnu Ji, and Tamgun-Shiv Ji). Their intellect is limited to only these three gods. Therefore these with demoniac nature, lowest among men, those who do evil acts like performing sadhna opposite to the scriptures, these fools do not worship me (Brahm). This evidence is also in Gita Adhyay 16 Shlok 4 to 20 and 23, 24; Adhyay 17 Shlok 2 to 14 and also in 19 and 20. Please Ponder: Ravan did bhakti considering God Shiv Ji as Mritunjay (who has won over death), ajar-amar (immortal), and Sarveshwar (Lord of all, the Supreme Being), offered his head by beheading himself ten times. As a result of which Ravan obtained ten heads during the battle, but did not get liberated; he was called a demon. This fault is of Ravan’s Gurudev. 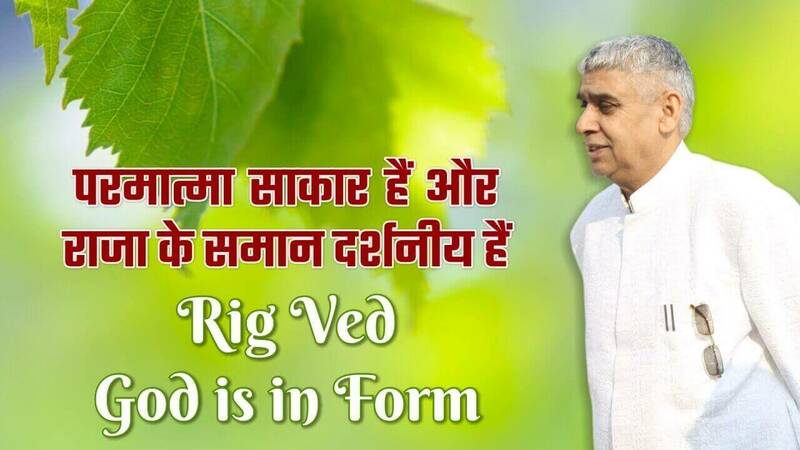 That fool (a quack) did not understand the Vedas properly and from his own thought, described God Shiv only as the Supreme God, and the innocent soul, Ravan, trusted his fake Gurudev and ruined his life and family. Once, there was a devotee named Bhasmagiri, who, considering Shiv Ji (Tamgun) as his deity, did sadhna for 12 years in Sheershaasan (headstand), bound Shiv Ji with a promise and obtained bhasmkanda (a braceletwhich when kept over someone’s head turns that person into ashes on saying ‘Bhasm’). Tried to kill God Shiv. The aim was that after obtaining bhasmkanda, I will kill God Shiv Ji and make Parvati Ji my wife. God Sri Shiv Ji ran in fear. Then Sri Vishnu Ji made him do Gandath dance and turned him into ashes with the same bhasmkanda. That worshipper of Shiv Ji (tamgun) came to be known as a demon. Hrinyakshipu worshipped God Brahma Ji (Rajgun) and came to be known as a demon. Once upon a time, around 325 years ago, there was an occasion of Kumbh festival (of those whose sadhna is opposite to the scriptures) on the steps of Har in the old Haridwar. All the sages (worshippers of the Trigun/the three gunas) reached there to take bath. Giri, Puri, Naath, Naga etc are the worshippers of God Sri Shiv Ji (Tamgun), and Vaishno are worshippers of God Sri Vishnu Ji (Satgun). An intense fight broke between Naga and Vaishno sages on the issue of taking bath first. Approximately 25000 (twenty-five thousand) Trigun (of the three gunas) worshippers died. Please think yourself that a person who can cause a massacre on a trivial matter is a saint or a demon. Even if an ordinary man is taking bath somewhere and someone comes and requests for some place to bathe, then for the sake of courtesy, one normally says, “Come, you also take bath here”, and try to accommodate the other person. Therefore in holy Gita Ji Adhyay 7 Shlok 12 to 15, it is said that those whose knowledge has been stolen by the pooja of my Trigunmayi Maya (Rajgun-Brahma Ji, Satgun-Vishnu Ji, and Tamgun-Shiv Ji), they are hungry of pride and praise, have demoniac nature, are lowest among men i.e. their conduct is even worse than a common man, miscreants, fools, they do not even do my bhakti.